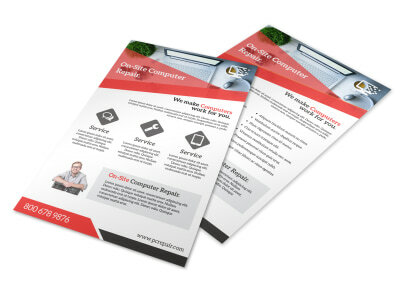 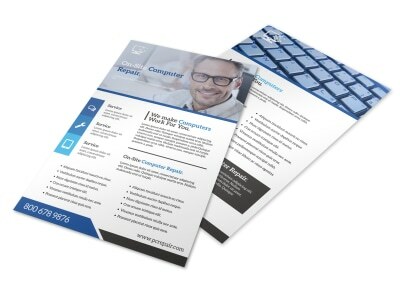 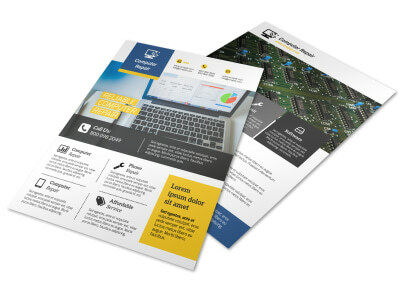 Customize our Blue Professional Computer Repair Flyer Template and more! 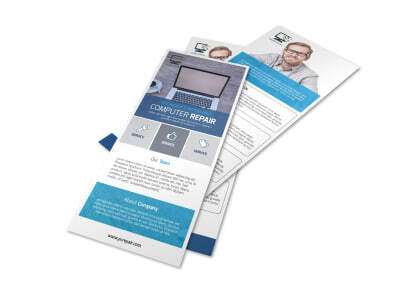 When it comes to professional computer repair, no one is better than you, so let the locals know where to come for removal of viruses, hardware upgrades and more. 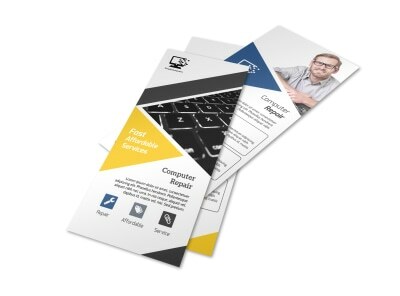 Just because you're a computer wiz doesn't mean you can't appreciate our interactive online editor that allows you to easily customize your design with images, text, colors, and more. 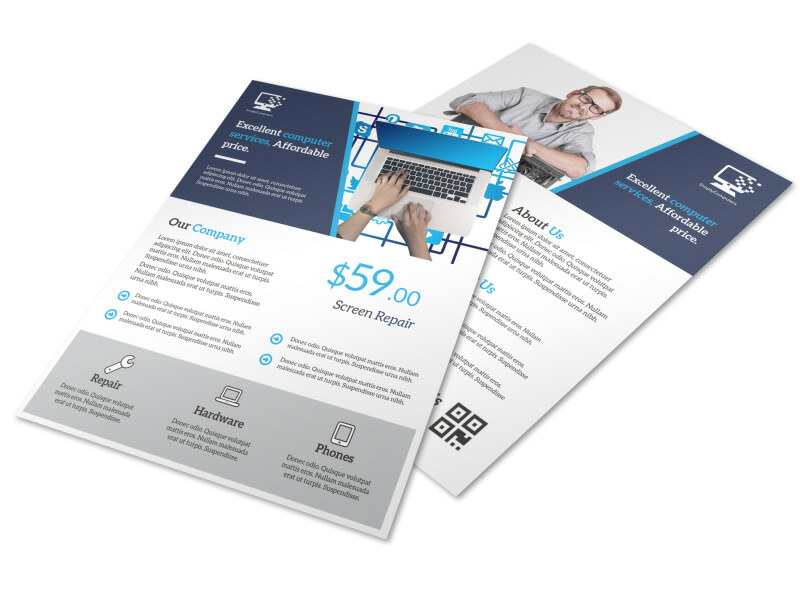 Begin the design process with a few keyboard strokes and an idea now!